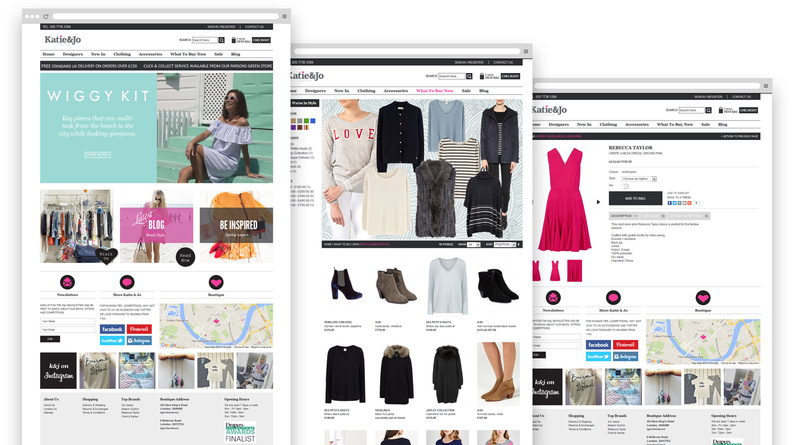 Katie & Jo are a fashion boutique who wanted an e-commerce presence to match the style of their London retail stores. We developed a fully featured e-commerce website using Magento including integration with an existing Sage database for stock management and order synchronisation. The website was launched in 2011 with a minor design update in 2013 and we think it’s still standing the test of time! We can't speak highly enough of the team at Infinite Eye. Craig and Sharon provide professional, personal and creative help. They built our website, working closely with us on each idea and bringing exciting design ideas to the table, ultimately giving a smoother experience for our customers. We couldn't recommend them enough and continue to use them in the day to day running of our website.